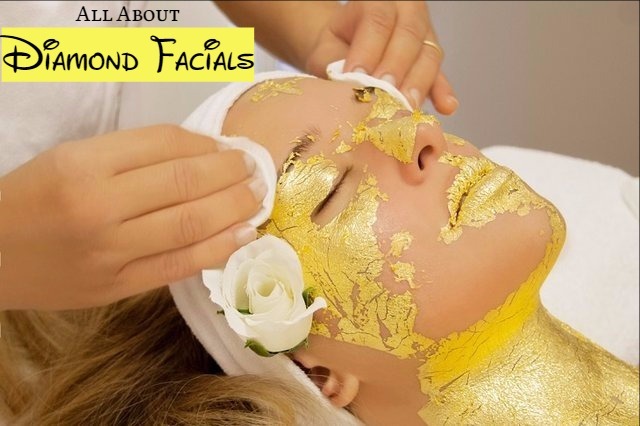 Diamond facial is one of the luxurious facial treatments and is available in high-end salons. This facial has the ability to make your skin shine as never before. Diamond facial is excellent for people having dull and dry skin. It is also good for the aging skin and offers effective results on the skin. It is well known for its anti-aging benefits. Given below are some of the benefits of diamond facial. Diamonds are widely used as exfoliating agents. The reason for this is that diamonds can offer longer exfoliation effect to the skin compared to other exfoliating ingredients. So, it offers amazing benefits to your skin. The specks of crystal and diamond contained in diamond facial help in removing the dead skin cells that have collected on the surface of the skin. This way it helps in exposing the fresh and smooth skin underneath. It also provides a youthful radiance and glow to your skin. The deep massage helps in improving blood circulation. An increase in blood circulation means that your skin complexion is also improved. There is of course a luxury factor involved in diamond facials. After a diamond facial, you get a metal satisfaction that you have treated your skin with one of the best facial treatments available. If you have dry and tanned skin, diamond facial can be very effective. It is also good for giving you an even skin tone. Another benefit of this facial is that it is great for getting rid of blackheads. It is considered as one of the best facials if you have lots blackheads on your face. The anti-aging properties of diamond facial have made it very popular among people. Diamonds help in removing the toxins from the skin. This way it purifies the skin and helps in oxygenation. It boosts the metabolic functions of the skin by stimulating the dormant skin cells. It also helps in regeneration of cellular life. This way it controls the effects of age on the skin and keeps your skin looking young. Diamond facial is a high-end treatment with which you can pamper your skin. Try to get the facial done by an expert. This way you can reap the best benefits diamond facial. To get this facial done you will have to spend at least INR 2000. If you are going for a diamond facial session, the cost may go up to INR 4500. You can also buy a diamond facial DIY kit and do your facial at home. This way, you will not have to spend too much of money on your diamond facial. There are reputed brands like VLCC and Nature’s Essence, and beauticians like Shahnaz Husain, who has formulated diamond facial kits. You can buy any of these kits and try it at home. Diamond kits formulated by well known brands contain skin friendly ingredients that do not cause any problem to your skin. This kit is safe even for those who have sensitive skin. This makes it suitable for all skin types. A typical diamond kit contains diamond scrub, diamond detoxifying lotion, diamond face mask and diamond massage gel. This lotion helps in soothing your skin and makes your skin soft. It also cleanses your skin. Diamond face mask is very effective for treating discoloured and tanned facial skin. It has the ability to treat blemishes and make your skin blemish free, in addition to giving a glow to your skin. This gel is very effective as it has anti-aging properties. It lightens the skin of your face. It helps in reducing the fine lines and prevents skin aging. Diamond scrub is said to contain diamond ash combined with natural components like flower extracts, essential oils and walnuts. Scrubbing your face with this scrub helps in removing the dead skin cells. How to Use Diamond Facial at Home? Take a coin-sized amount of cleanser on your palm and make lather out of it. Apply this on your face and massage your face with it for 20 to 30 seconds. Without a face pack no facial is considered complete. Apply the Diamond face pack on your skin with your fingers or a brush. Let it dry and for about 15 to 20 minutes and then wash it off with cool water. It is the massage gel that makes a diamond facial last for a longer period of time. Take a generous amount of diamond massage gel and apply it all over your face. Now apply gentle pressure with your palms and massage your face for about 20 minutes. By massaging your face this way the blood circulation increases and it gives a glow to your face. Some diamond facial kits contain either diamond facial gel or the massage cream. If both are there, then massage your face with each for about 10 to 15 minutes. If only one among these two is present, then massage your face for20 minutes. Diamond scrub contains miniscule granules of crystal and flecks of diamond that exfoliate your face. Take a coin-sized amount of this scrub in your palm. Dot your cheeks, forehead, chin and the nose with this scrub. Now massage your entire face with your finger tips in upward circles. You can do this for 2 to 3 minutes. This helps in getting rid of eh dead skin cells, dust etc from your facial skin. Going for diamond facial is a great way to provide anti-aging dose to your facial skin. So, get it done and see how your skin glows and look younger than before.